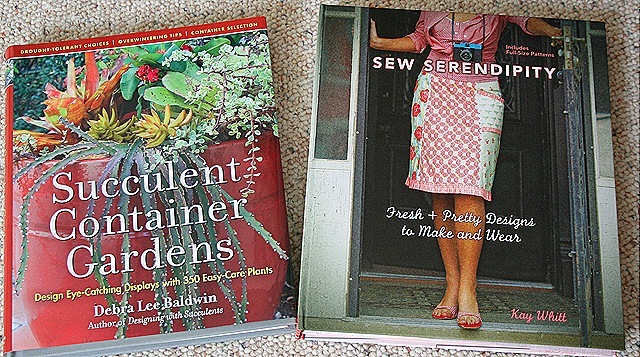 I've got two new books that I'm just thrilled about. The first one is Succulent Container Gardens by Debra Lee Baldwin. I've always loved succulents and years ago, before I had a yard, I had a wonderful succulent collection in containers. In fact I was quite crazy about collecting them. I got away from that, but now this gorgeous book has got me hooked again! Not only are the plants in this book gorgeous, this book has the most beautiful collection of containers and pots that I have ever seen! Fabulous inspiration on every page. 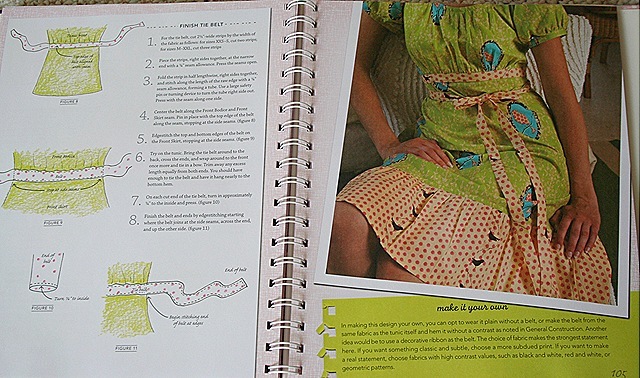 The next book is Sew Serendipity by Meg Whitt. 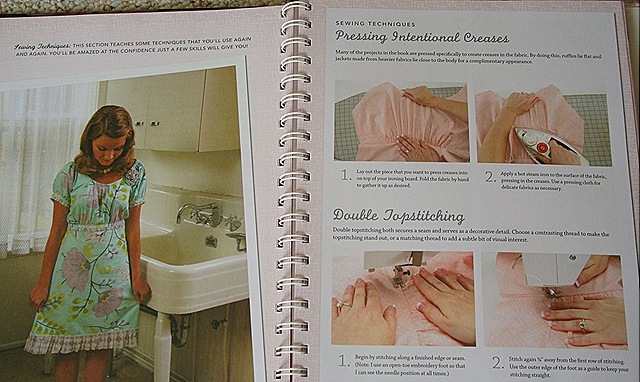 The book has a ton of pictures, tips, hints and of course directions as well as full size patterns included. Many of the steps are hand illustrated by Meg herself. I think this dress is going to be my first project. 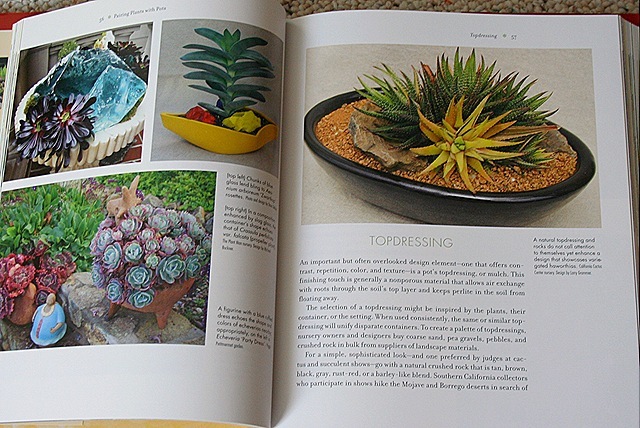 Okay, I’ve got to have the book on succulents. Amazon.com? 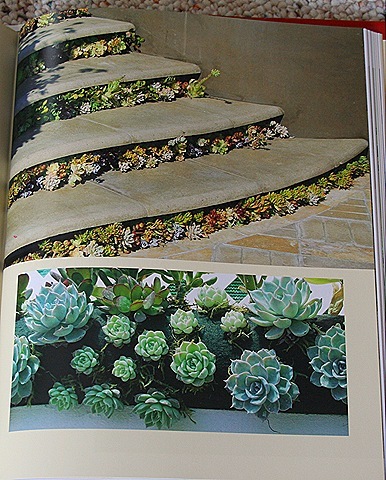 Those concrete stairs with the succulents growing underneath each step is to die for. I have never seen anything so pretty done with succulents like this.